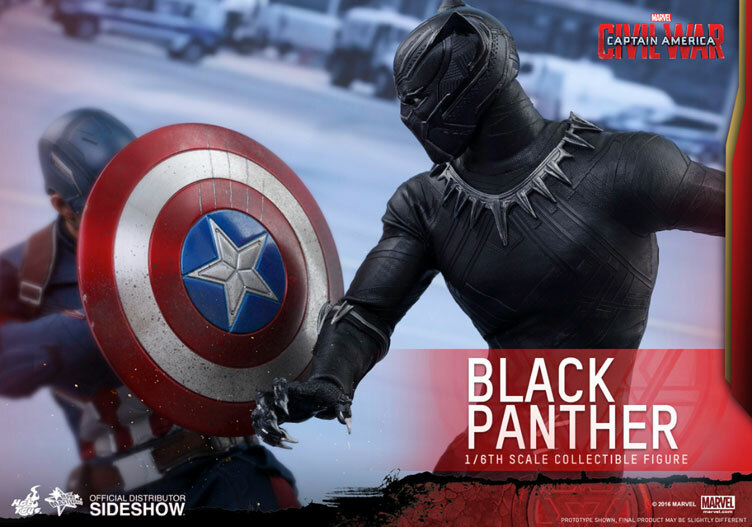 With the epic battle between Captain America and Iron Man about to begin, Hot Toys has started rolling out more characters from Captain America: Civil War with this Black Panther Sixth Scale Collectible Figure. 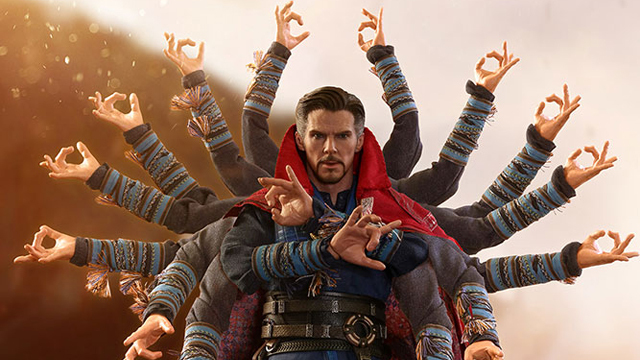 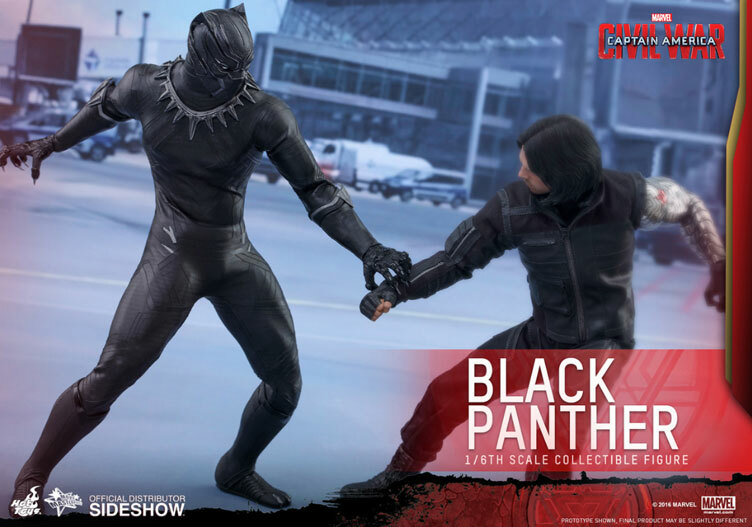 Equipped with razor sharp claws, signature suit and tons of detail, this sixth scale Black Panther action figure from Hot Toys honors the summer blockbuster film’s debut of the African nation Wakanda’s powerful warrior. 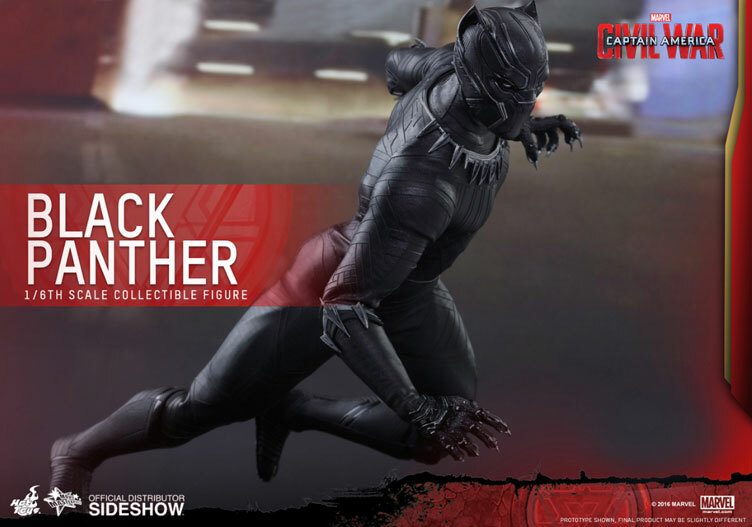 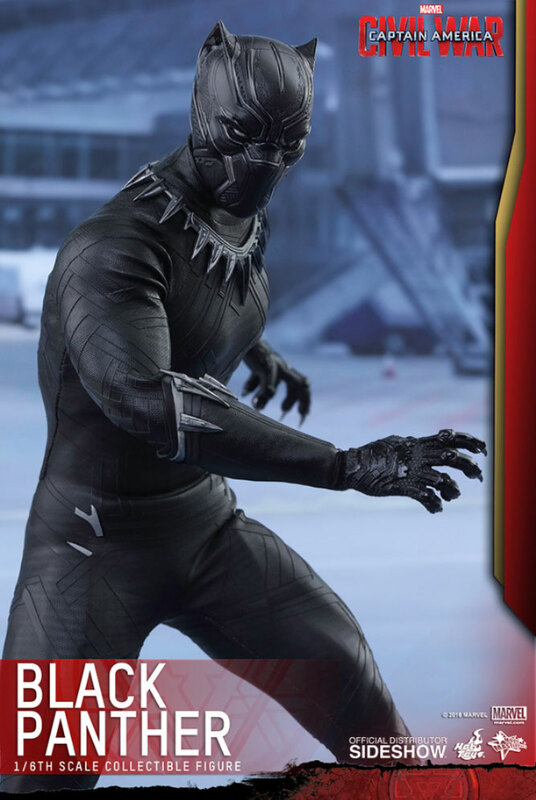 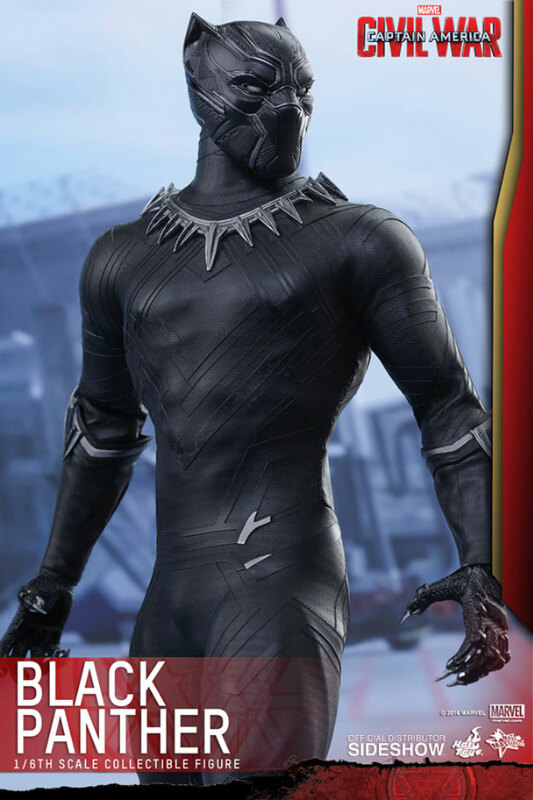 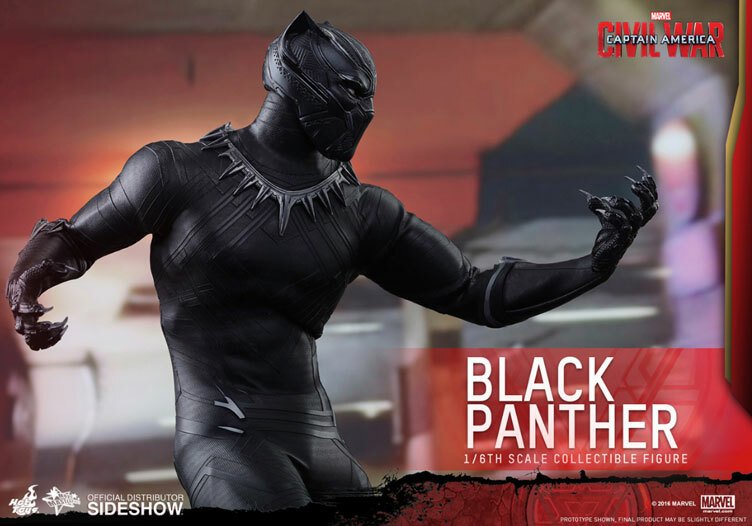 Standing over 12-inches tall and sculpted to perfection, the Black Panther figure features a newly developed helmeted head with detailed textures and silver trim, a newly developed body with over 30 points of articulation, plus six pieces of interchangeable gloved hands including fists, clenching hands and clenching hands with claws to switch things up. 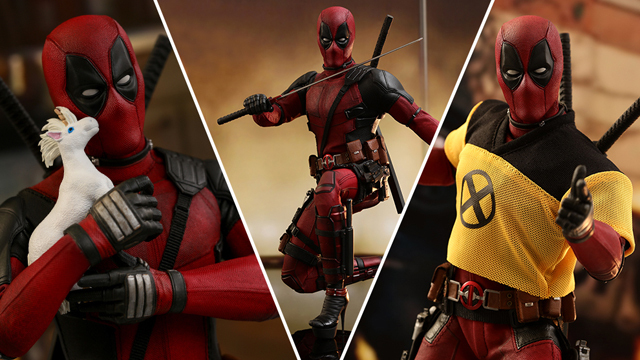 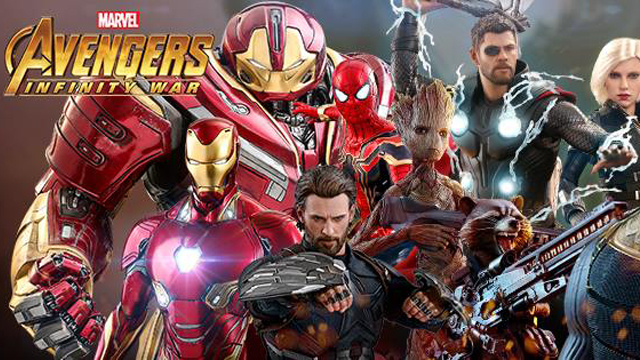 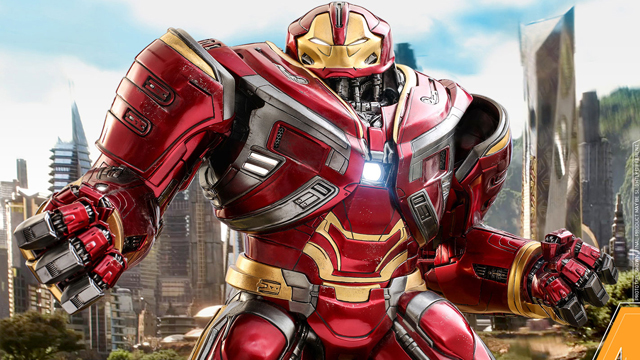 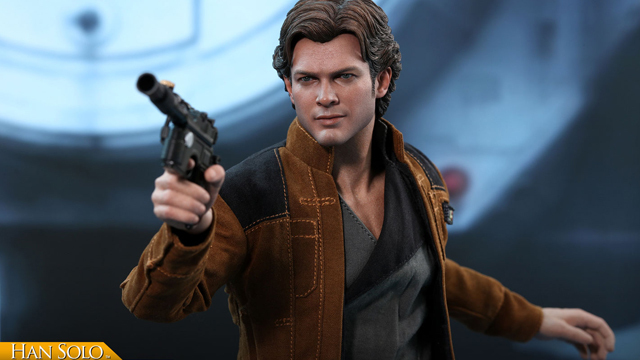 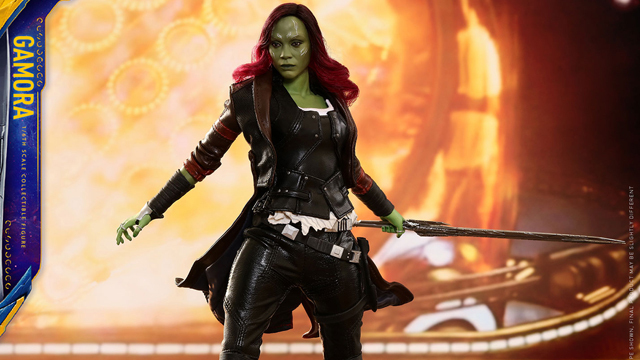 The figure also includes a Team Iron Man stand for display purposes with nameplate and movie logo. 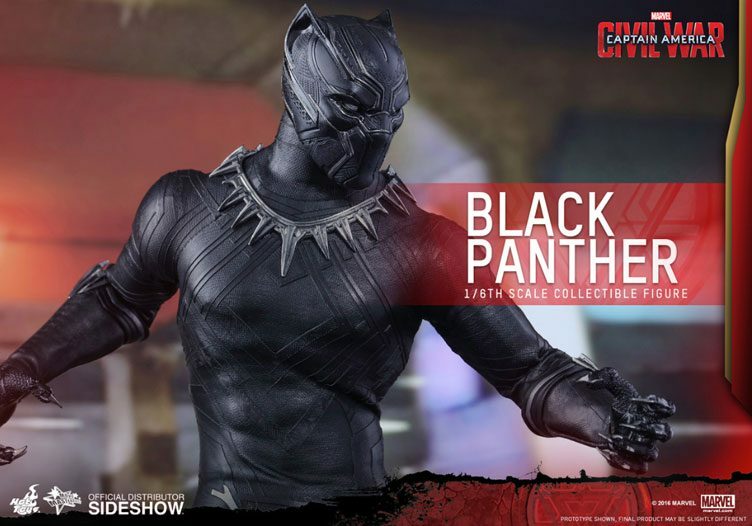 The Captain America: Civil War Black Panther Sixth Scale Figure by Hot Toys is available to order at Sideshow Collectibles with an expected ship date of November 2016. 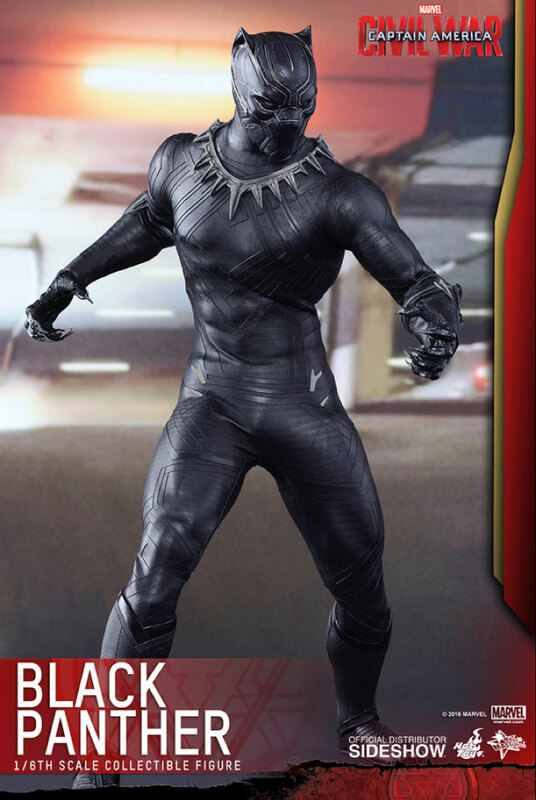 Click here to buy the Captain America: Civil War Black Panther Sixth Scale Figure.